Home » Interviews » HOW TO DUPLICATE MY TEAM SUCCESS USING SOCIAL MEDIA. Good day everyone, this is Ayodeji Oladeji Charles, the CEO of www.naijamarketingpro.com. It’s another beautiful day here at Naija Marketing Pro Community. This week, we got a big and very resourceful personality in the world of network marketing where we looked at, ‘HOW TO DUPLICATE MY TEAM SUCCESS USING SOCIAL MEDIA.’ He bears Dayo Adetiloye. Dayo Adetiloye is a successful Serial Entrepreneur, International Business Planning Consultant, Speaker, Trainer, Author, Blogger and a Networker Marketing professional. He is an alumnus of Enterprise Development Centre of the Lagos Business School. He holds Master of Business Administration (MBA) from Obafemi Awolowo University, Ile-Ife. Through his training, mentoring, speaking, coaching programmes, and accessing grant opportunities in Africa via www.dayoadetiloye.com, he has empowered many young people in the last 4 years to start and grow their own business, build wealth, create multiple streams of income and achieve financial independence. 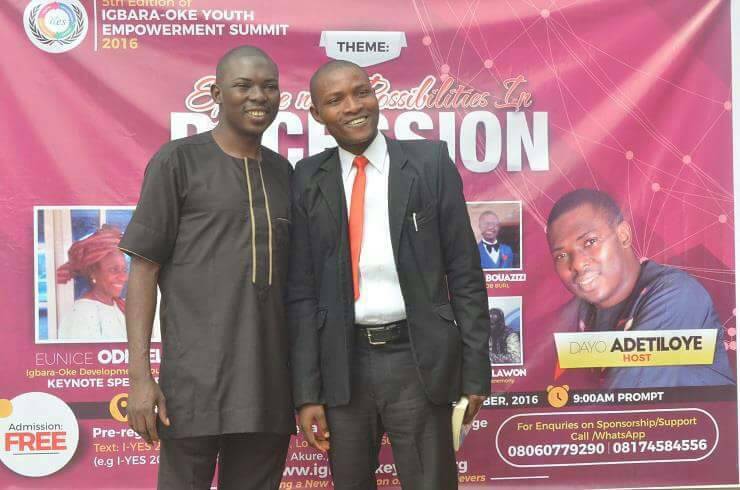 Dayo Authored the Award-winning book ‘‘Unleashing Your Entrepreneurial Potential For African Students,’’ He is the convener of the popular Igbara-oke Youth Empowerment Summit (I-YES) in Ondo State, Nigeria. He is the CEO of Dayo Adetiloye Business Hub (DABH). And he sits on board of several businesses. He generally helps people to discover, develop and fulfill their business potentials. Ayodeji Oladeji Charles : Good day to you Mr. Dayo. How are you doing today? Can you tell us a little about yourself, your journey, what led you to network marketing and how has it Been? Adetiloye Adedayo: Thank you Ayodeji. I am awesome here. I am Dayo Adetiloye. I am a business planning consultant and I managedwww.dayoadetiloye.com. I am the CEO of Dayo Adetiloye Business Hub. I have been in the network marketing industry for five years. I joined because I see a great possibility of working for myself through it and making it big. I see it as a learning platform for young people to learn a lot of skills like networking, marketing, team building, leadership, negotiation, presentation, public speaking, motivation etc. If you can do well in network marketing, you have the basic skills to run any business. Ayodeji Oladeji Charles : Oh..great. What is the #1 thing a new teammate wants more than anything else? Adetiloye Adedayo: Knowledge and skills to do well in the business. Most people join the network marketing industry as amateurs and they learn and make effort through learning and application via personal development to be professional. New team mate must be hungry for knowledge or else, he cannot succeed in the industry. Ayodeji Oladeji Charles : That’s true because knowledge brings an edge and it is power. How do I conduct a getting started right training with my new teammates immediately after they sign up. Adetiloye Adedayo: Use various tools the company and leaders have prepared for you. You can use videos and audios. You can use face to face training and mentoring. Ensure you train them to become leaders. Let them be able to execute the business on their own. The more of people like this you can raise as leaders, the better returns you will have for your effort in the network marketing industry. Focus on raising leaders. Ayodeji Oladeji Charles : Interesting, how do I help my new teammate get paid within their first 24 hours of joining our team? Adetiloye Adedayo: Getting paid should not be the first focus of a new members joining the team. And if that is their soul focus. Then, let them know that bringing and signing up prospects is the bedrock of this business. If they bring 10 people today and are ready to join. They will earn referral bonus immediately. It is a game of numbers. Your responsibility as a leader is to help them talk to their own prospects in a 3-way-call, face to face, WhatsApp group or just a phone call. And let the new members observed you how you do it. I am not an advocate of you putting people under new members. Because, it is not sustainable on the long run. I rather advocate training and turning your members to leaders via training and development. Ayodeji Oladeji Charles : You are definitely right. As a leader, if you want to multiply, raise leaders. How do I build in-depth in my team? Adetiloye Adedayo: What you don’t have, you can’t give. Your team can’t be that deep in knowledge beyond your capacity. That means, you must first be deep in your quest for knowledge and get as many trainings as possible from your upline, company website and company tools and resources. Then, teach and train your team the depth you have discovered. Ayodeji Oladeji Charles : Thanks for the wisdom so far. How do I increase my retention rates (this is the amount of people with renewed auto-ships) and how it contributes to residual check each month? Adetiloye Adedayo: You can increase your retention rate by staying in touch with your prospect and new members. A blog will do that for you via auto responder system. My recent MLM has been successful because of my blogging activities at www.dayoadetiloye.com. I will recommend that you maximize our Blogging set up promo. It is just N40, 000 for this month of June 2017. After the setup, we will teach you how to use it. The main secret is constant communication. And it can be automated via blogging. You can get in touch with Mr AOC on 08030609917 or email via ayodejioladeji@yahoo.com, the CEO OF THIS PLATFORM to book your blog setup. Ayodeji Oladeji Charles : As a newbie, which one of the social media should I be focus more when newly started? Adetiloye Adedayo: OK. For social media, use Facebook and sponsor a post for promotion. It is faster that way. That means, you pay Facebook to promote your post. Ensure you put pictures and well arranged short advert and put your phone number. Ayodeji Oladeji Charles : Thank you. What are the do’s and don’ts of the social media? Adetiloye Adedayo: Don’t spam people with your post. Don’t abuse people. Don’t give fake or false information. Do educate us. Do show us pictures. Do persuade us to join. Do show us your success stories. Ayodeji Oladeji Charles : Interesting. How do I increase my influence on social media? 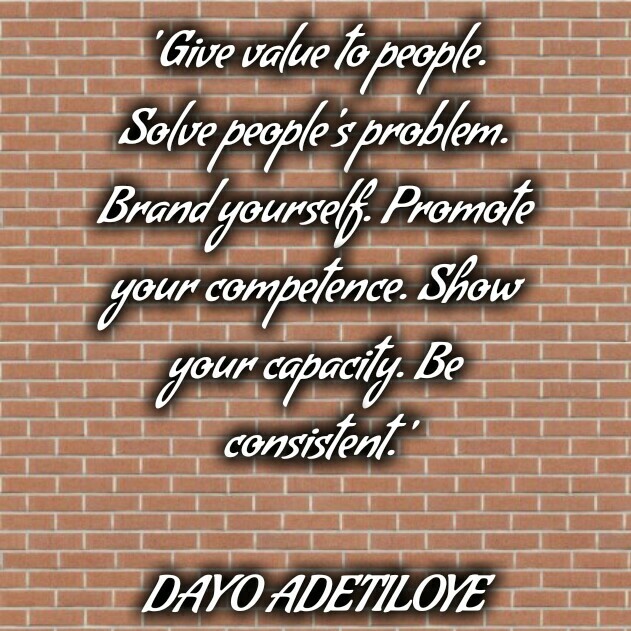 Adetiloye Adedayo: Give value to people. Solve people’s problem. Brand yourself. Promote your competence. Show your capacity. Be consistent. Ayodeji Oladeji Charles : Wow, to be honest, consistency is very important in any worthwhile task. Does good leadership brings in more of team duplication? If yes, why? Adetiloye Adedayo: Yes, people follow the leader. People do what the leader is doing. Every leader was once a follower. But not every follower will become a leader. A leader is emerge when you join a network marketing company and you set a vision for yourself. Anybody that joins you is coming to help you fulfill that vision. Then the leaders begin to duplicate the vision, then the leader duplicates the strategy, and shows new members their glorious place in the vision. Every one begin to work and duplicate. 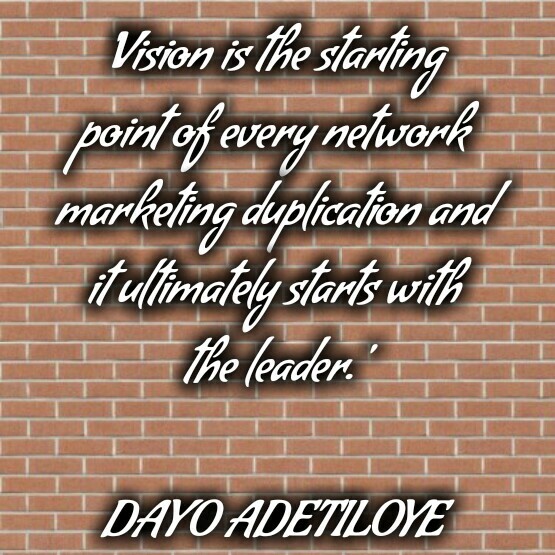 Vision is the starting point of every network marketing duplication and it ultimately starts with the leader. Ayodeji Oladeji Charles : How do you think network marketing is the solution to youth unemployment in Nigeria? Adetiloye Adedayo: The industry has employed a lot of people in the past. And still loaded with capacity to employ a lot of people in Nigeria. The only problem in Nigeria is that we don’t want to do anything that has to do with marketing. You will hear things like ‘I don’t know how to want to market or I can’t refer people.’ People prefer office job even if it is just N20,000 they pay them per month. We need a lot of re-orientation and training before network marketing can be a solution to the rest of unemployment in Nigeria. 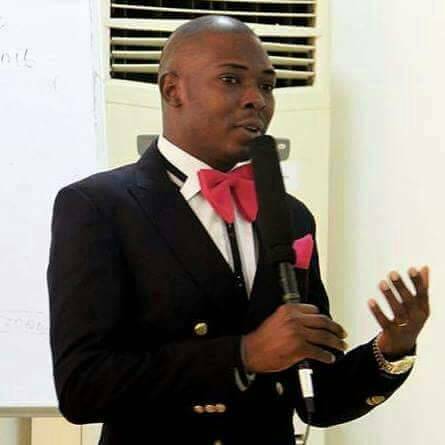 Ayodeji Oladeji Charles : This is the more reason why Naija Marketing Pro Community is existing, so we can bring in more enlightenment to all and sundry on network marketing business opportunity because it is a stone cold fact that it is a better way. What do you do after work? Adetiloye Adedayo: I enjoy my self with my family. Adetiloye Adedayo: Just keep doing the good work. You are a resource platform for the network marketing community all over the world. Ayodeji Oladeji Charles: Thank you for impacting us today. All of us at Naija Marketing Pro Community says that we love you, we appreciate you and we say, that we will surely meet at the top. Adetiloye Adedayo : Thank you Ayodeji. It’s a pleasure and I feel great to be here with you. Ayodeji Oladeji Charles: Interesting isn’t it? How to duplicate my team success using social media? Now, you can be assured of greater success using social media to duplicate your team success so go and make it happen. 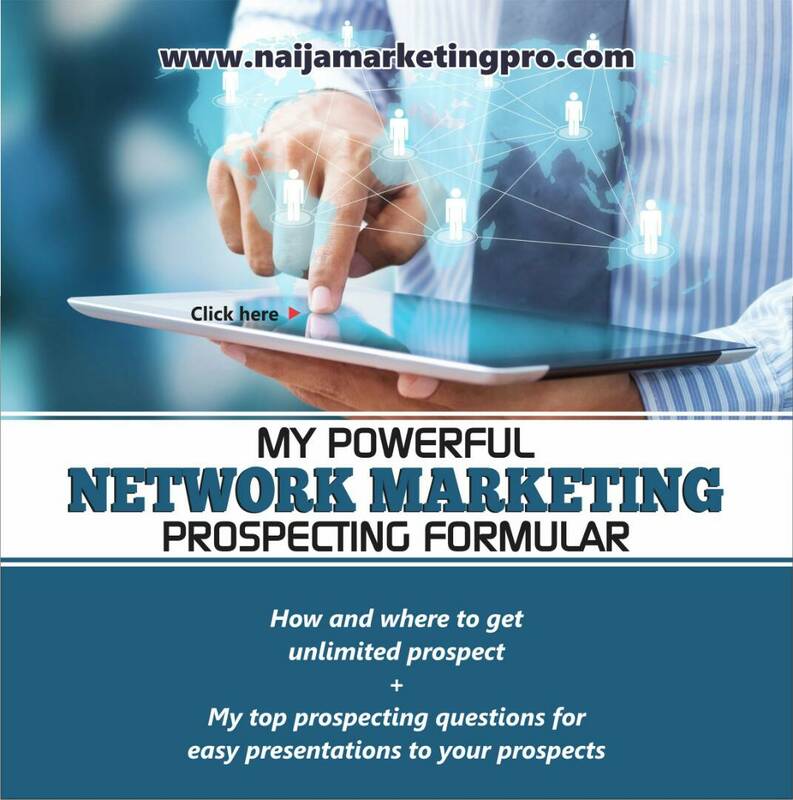 It’s our wish to see you becoming a Naija Marketing Pro because with network marketing, you can take full ownership of your life. « HOW DO I ACHIEVE MY GOALS IN NETWORK MARKETING? Very informative post. Thanks to both parties involved in the interview. You guys are great.